Someones had your stripes away though! Topic: Help! Urgent. 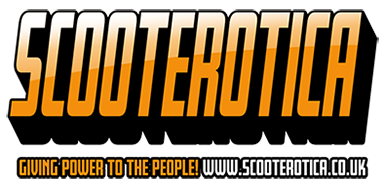 Why has my scoot started running too rich? Had exactly the same problem last week. Humidty seems to play mine up!!!! It is a GP headset. Quality fit. Just had mine fitted fitted by a mate(Wack63) and everything spot on! Fit, temp, revs, and speed. and thats with a standard cable at the moment. As good as your gonna get in my opinion!!!! Could anyone tell me which resistor plug they are using please to overcome some of these problems.